A healthy child is a happy Child! Healthy, nutritious food enhances important aspects of a child’s development, including social, cultural and educational. Eating habits and a child’s relationship with food is developed in the early years. 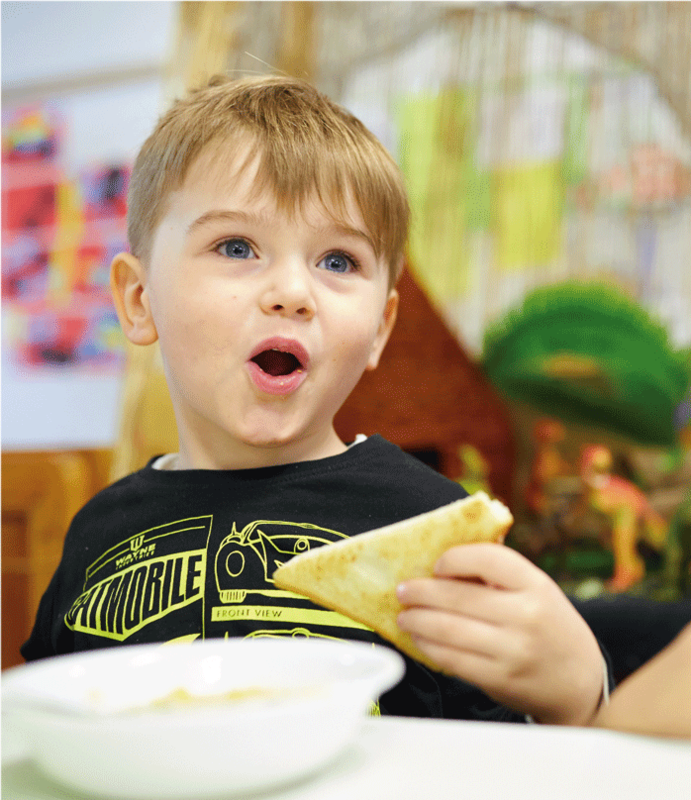 We believe that a key responsibility of our Educators is to foster healthy food habits, which will help children maintain a healthy weight and good health throughout their lives. Our fresh, seasonal menu, which rotates every 4-weeks, reflects this food philosophy. We also encourage parents to share meal ideas, and cultural needs or dietary restrictions can be discussed with Educators anytime. Water is available at all times for children. 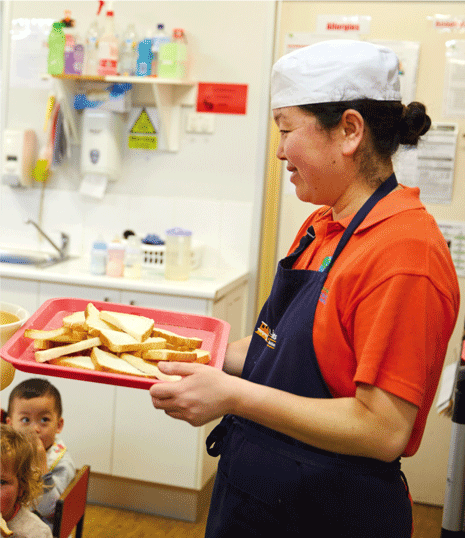 Children are encouraged to serve themselves and be responsible for their food choices. Our kitchen is registered with Moonee Valley Council, in accordance with current food handling regulations and undergoes an external audit each year. maintenance of high standards of food handling. All meals are prepared by our Centre Cook, who holds a current Food Safety Supervisor’s Certificate. We are a nut free centre! Any food brought in from home must be signed into the food register in the kitchen on arrival and must not contain nuts or nut products.